Books and Tapes – Edward Abramson, Ph.D. 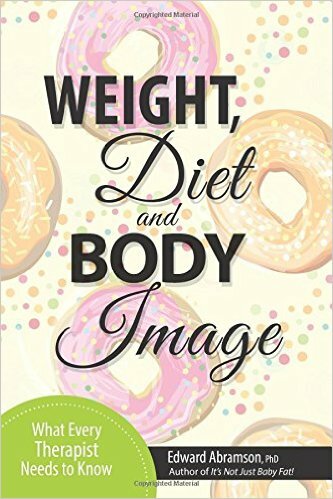 Regardless of diagnosis or presenting problem, many clients have weight concerns. This definitive guide for therapists and health professionals is easy to read and highly practical. It addresses everything from genetics, drugs and surgery to emotions, the environment and culture so professionals will be able to answer questions and offer practical help to their clients with weight problems. Link to Amazon. Putting an overweight kid on a diet makes kids feel bad and often results in weight gain rather than loss. It’s NOT Just Baby Fat! 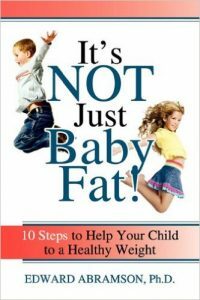 offers parents 10 practical steps to help their children achieve a healthy weight without increasing the risk of an eating disorder. 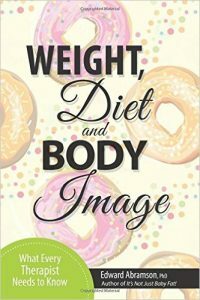 It shows parents how they can encourage healthy eating, help their kids break away from TV and video games while promoting a positive body image. Link to Amazon. 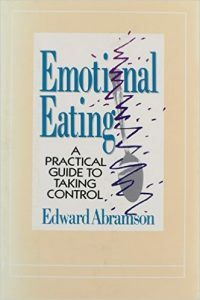 This best selling, Book-of-the Month pick shows readers how to identify their individual pattern of eating triggered by emotions. With real-world examples, tables, and self-assessment tools it shows readers how to develop alternative behaviors and respond to emotions without eating. Link to Amazon.